Sarah Jane, better known as actress Elisabeth Sladen passed away Tuesday, April 19, 2011 due to cancer at at the age of 63. Of all Doctor Who’s companions, Sarah Jane is perhaps the best known and most popular. Sarah Jane and K9 were the only companions of Doctor Who that I knew when I first got into the series. I really got into the show because my favorite incarnation of The Doctor, Tom Baker, was portraying him. Sarah Jane was so popular amongst Doctor Who fans that she was rewarded with her own spin off show, The Sarah Jane Adventures. The show was geared to a younger audience but I found it more appealing than some of the programming the SyFy channel markets to adults. Sarah Jane’s popularity and TV show are reminiscent of the resurrection and popularity of Star Trek. It was 30 years between leaving Doctor Who and coming back in her own series. 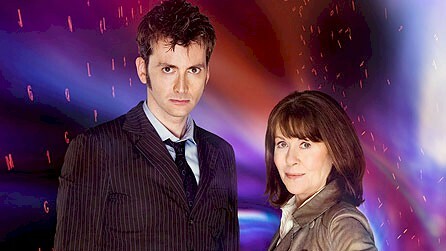 The Sarah Jane Adventures can be seen on BBC America if you are interested and have never seen it. Kyra Sedgwick to end The Closer after season 7. TNT announced about three weeks ago that this coming 2011 season of The Closer, starring Kyra Sedgwick will be the last for the successful cable drama. TNT has some great shows and The Closer is one of them. Kyra is excellent as the intuitive Deputy Chief Brenda Leigh Johnson. This role won Kyra an Emmy in 2007. No matter what her reasons are for leaving the show, I do believe, unless she owns the show in some part, that the show can go on without her. I think they should let her character, Deputy Chief Johnson, find a replacement. At least give the show one more season to prove that the actress replacing her can fill her shoes and keep the ratings high. Law & Order made it common practice to change district attorneys, police chiefs, and officers. Will anyone else beside myself be sad to see The Closer’s demise? You are currently browsing the archives for the Actors & Actresses category.